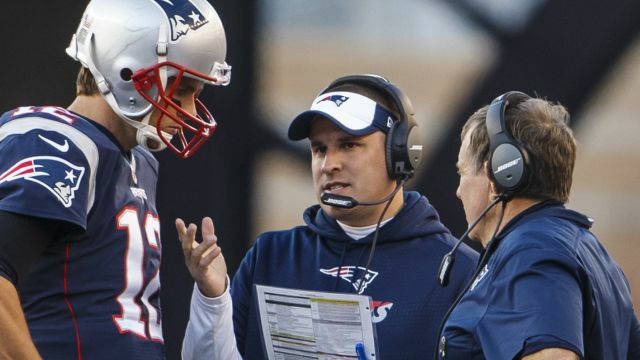 The Patriots' bye week will give offensive coordinator Josh McDaniels the chance to interview for multiple head coaching jobs. The Jaguars, Rams and 49ers will all reportedly interview McDaniels on Saturday at a hotel near Gillette Stadium. McDaniels' only stint as a head coach was a quick one, as he went 8-8 with the Denver Broncos in 2009 and then was fired after a 3-9 start the following season. After serving as the Rams' offensive coordinator in 2011, McDaniels came back to the Patriots in 2012. 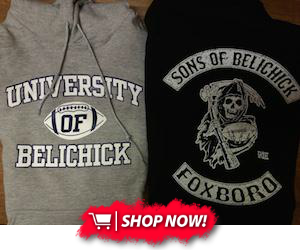 It's been reported that the 49ers consider McDaniels as their top option. If any of these teams want to interview him again, they would have to wait until the week after the AFC Championship Game if the Patriots make it to Super Bowl LI. Losing McDaniels would obviously be a big blow to the Pats, as they've thrived under his offense. If he leaves, one of his potential replacements could be tight ends coach Brian Daboll, who has a big fan in Martellus Bennett. Music, you say? Tell me more. “He listens to a little bit of everything,” Bennett said. “I come in sometimes, and he’ll have on Biggie and 2Pac, and he asks me if I know who this is, and I’m like, ‘Nah, coach. I don’t know. It’s only part of my heritage and my history, but I have no idea what that is.’ He listens to a little bit of everything. The other day he was talking about Meek Mill, and I was like, ‘I like Meek Mill.’ He was like, ‘He has a new album out.’ It’s like, where do you get this guy from? Daboll is in his second stint with the Patriots organization, originally joining them in 2000 as a defensive assistant. He left to become the New York Jets quarterbacks coach in 2007 and bounced around the league until he wound up with New England again in 2013. He's been on the staff ever since.